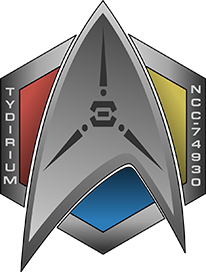 The USS Tydirium was established on Stardate 64672.1 (March 3rd 2011), and Commissioned Stardate 65430.5 (December 19, 2011). 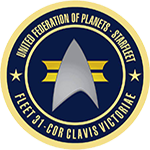 The Tydirium is affiliated with several wonderful Star Trek Fan Organisations such as Starfleet International, & Fleet 31. The USS Tydirium is one of the chapters that makes up the Australian/New Zealand Fleet. The Tydirium is based in Sydney, Australia with shuttles (sub-chapters) covering the Central Coast, Newcastle, Wollongong, Goulburn, Canberra, & Lithgow all working together to provide a richer Star Trek Fandom experience in New South Wales. Our members have a wide variety of interests ranging from all kinds of Science Fiction and fantasy fandom, television & movies. 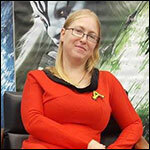 The Tydirium members have meetings, events, outings, we enjoy attending conventions around New South Wales. 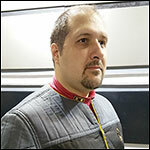 The crew get together and learn to build Star Trek props both big and small like our Holodeck & Bridge Helm, as well as smaller props like Phasers, Commbadges, Rank Pips, and so on.